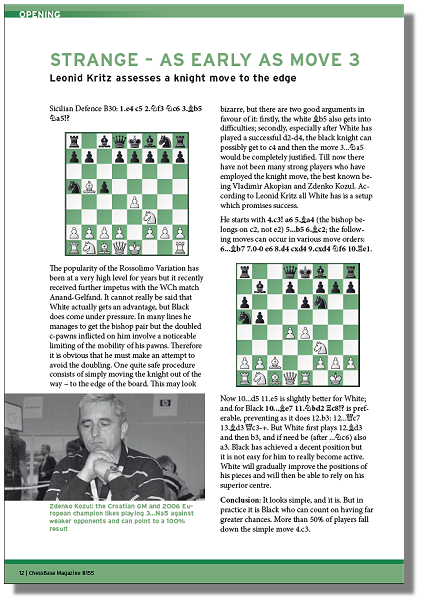 Since you are an annual subscriber to ChessBase Magazine you are welcome save up to 100,- € for purchase of the new Mega Database (release in November). If you own the current version of the Mega Database you are welcome to save 25,- € on the update to the new release! 6 months subscription. It is automatically renewed if no notice of cancellation has been given by either party at least one month prior to renewal. 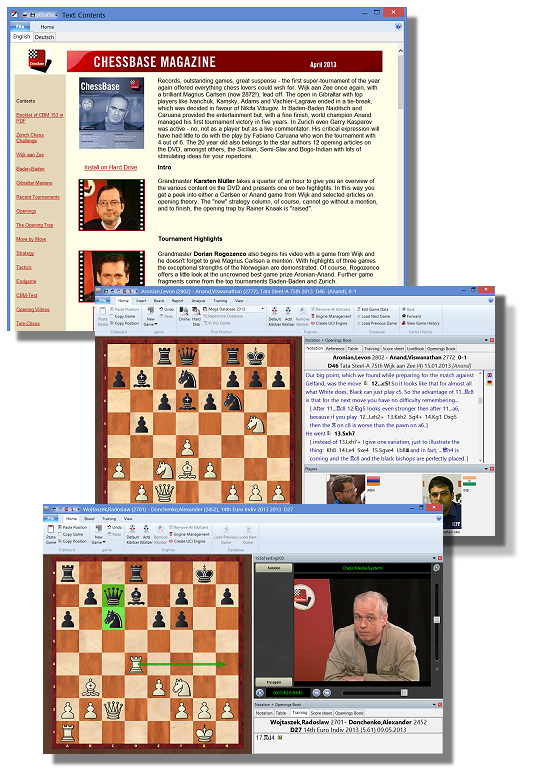 Highlights: Tal-Memorial, Norway Chess 2013, FIDE Grand-Prix (Thessaloniki). 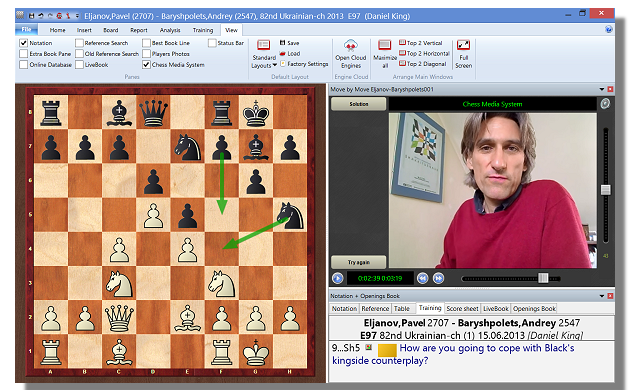 Gelfand, Kamsky, Caruana and others annotate their best games. NEW: Daniel King’s "Move by Move" as interactive video. 12 topical opening articles.